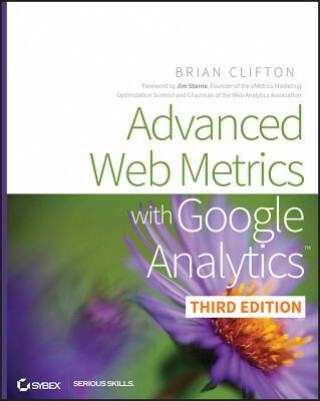 Get the latest information about using the #1 web analytics tool from this fully updated guide Google Analytics is the free tool used by millions of web site owners to assess the effectiveness of their efforts. Its revised interface and new features will offer even more ways to increase the value of your web site, and this book will teach you how to use each one to best advantage. Featuring new content based on reader and client requests, the book helps you implement new methods and concepts, track social and mobile visitors, use the new multichannel funnel reporting features, understand which filters to use, and much more. Gets you up and running with all the new tools in the revamped Google Analytics, and includes content requested by readers and users especially for new GA users Covers social media analytics features, advanced segmentation displays, multi-dashboard configurations, and using Top 20 reports Provides a detailed best-practices implementation guide covering advanced topics, such as how to set up GA to track dynamic web pages, banners, outgoing links, and contact forms Includes case studies and demonstrates how to optimize pay-per-click accounts, integrate AdSense, work with new reports and reporting tools, use ad version testing, and more Make your web site a more effective business tool with the detailed information and advice about Google Analytics in Advanced Web Metrics with Google Analytics, 3nd Edition .